—Nechama Tec, Ph.D., Holocaust Scholar and Professor Emerita at the University of Connecticut, Author of eight books including DEFIANCE, now a major motion picture. 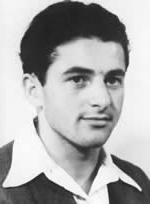 Yosef Laufer is a mere teenager when war breaks out in Eastern Europe in 1941. With his father, he barely escapes deportation to a Nazi death camp, and for two years they forge a precarious existence in the fields and woods outside of their village of Zurawno. Faced with the constant threat of discovery by both the occupying troops and the Zurawno locals, Yosef’s ordeal – told in his own words – becomes a narrative of survival and the power of the human spirit, where every single day of life outside of captivity is a victory against the Nazis. Yosef’s account is both personal and communal. It is a memorial to his lost family and community. At a time when the generation of survivors is passing away before us, narratives such as that of Yosef Laufer become even more important. He recounts what he knows of the lives, the experiences and, ultimately, the fates of his fellow Zurawnowers. As a 17 year old, he has the strength to face the physical challenges of living in the open fields and woods, but it is his father’s extraordinary leadership that provides the mental fortitude to manage the relentless adversity they face on a daily basis.